Mentioned on this site yesterday the BIG DAY this Saturday with the fun beginning as early as 10:00 a.m. for the tykes. It is always a great day when we welcome the Vikes to our House and a wonderful bond of comradery and competition has evolved in recent years as CW youth, seeking to mark their rugby path, have graduated from age grade stuff (often as U18 B.C. Champions – thanks to Spenny), return to test themselves against a pleasant preponderance of UVic grads who have either returned to or joined the club. This year will be more of the same, often producing scintillating football and bite-your-nails finishes. Last season, CW went down 26 – 15; 32 – 31 and won, 45 –37, heaps of points and nothing in it. The Tricolors are slowly putting pieces of the puzzle in place, with a nice mix of returnees and newcomers (more in a later blog). It is with a wry smile we notice “old boys” Grdic and Dalsin can’t keep away from the call. The Vikes will be bulked up even more this weekend after flexing their muscles in their opener against WV last weekend. Names such as Kapi – returns to the Vikes and opens with a hat-trick, ‘onya, Kapi! Recent H.S. grads, Costa (SLS); Nick Carson (OBHS); Ollie Nott whose play has become more noticed at the rep level, Gradyn Bowd, still pushing for a claim to RWC Qualifier, with lethal backline support of Prevost, Hagar and Findley, not to mention other U20 “returnees” – Gavin Kratz, Mathews and O’Neill, all makes it sound rather formidable. This opposition will sorely test the guile of newly appointed assistant coach, Kenny Goodland as Scotty will be in Vancouver with Men’s U18 Trials. We will try to cobble some type of pre-game story about the characters involved when we get the selections. Food truck at The House, let’s have a massive opening turn-out. 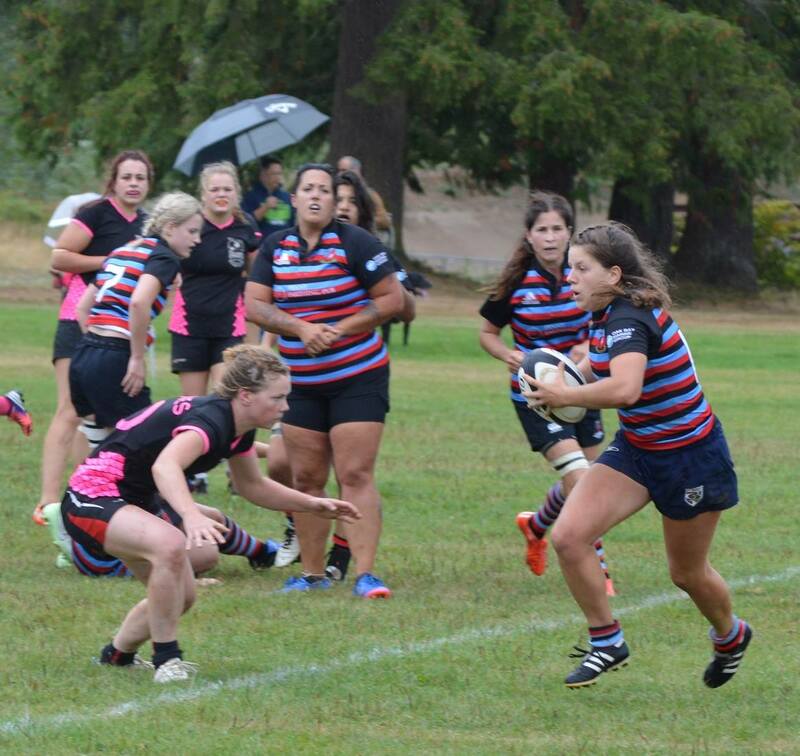 CW women will not be in action this weekend however, Manager, Chris Shepherd provides her take on the Comox trip; “In true back to school fashion the women’s rugby team boarded a big yellow school bus at 6:45 am for our first game of the 2018/19 season. In an endeavour to “grow the game” and keep costs in check the structure of the Fall Season has been modified to support those goals. The BC women have 3 leagues (Vancouver Island and 2 Tiers on the mainland). The Premier season will start in January. The Vancouver Island League is presently comprised of five teams (Comox, Cowichan, West Shore, Nanaimo and Castaway Wanderers) with a focus on development. This is a great opportunity to introduce new players, reintroduce players returning from injury/retirement and give senior players a chance to mentor their teammates in a competitive but supportive environment. 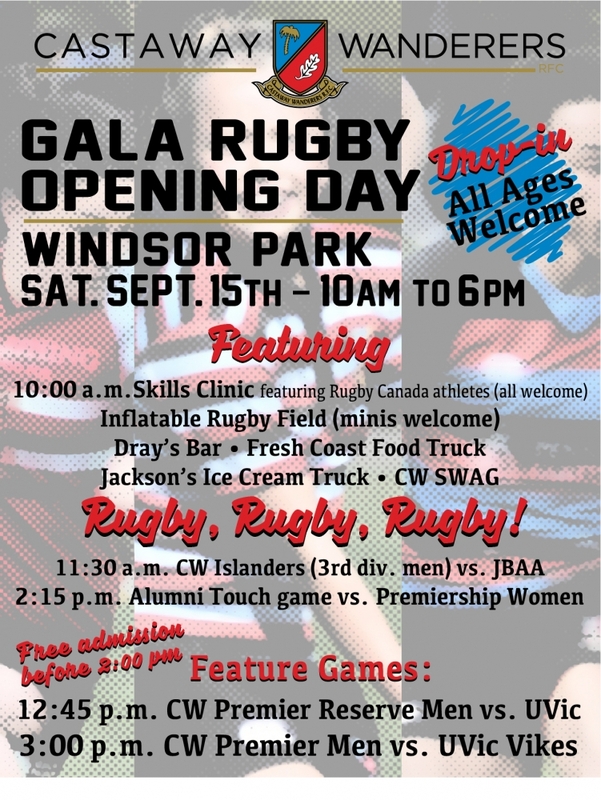 It was a homecoming of sorts for some of our CW players as a number began their rugby career in the Comox Valley having been coached at GP Vanier by Dwayne Mills. The first half ended with the home side up 20 to nothing and our team a little disorganized. Our stalwart group kept working and with the strong leadership of veterans Marley Riordan, Lizzie Adams, Amy Hawkings and Lauren Sargent the team regrouped. The hard work paid off and at one point in the second half we were only down by a try. We had some unfortunate injuries with Jordyn Taylor leaving the game with a knee injury, Danielle Little with a broken wrist and Cata Torres because of concussion protocols and ended the game with 14 players. Try scorers were Sara Einerson, Brooke Bazain and Lizzie Adams. Brooke Bazain made all 3 conversions. 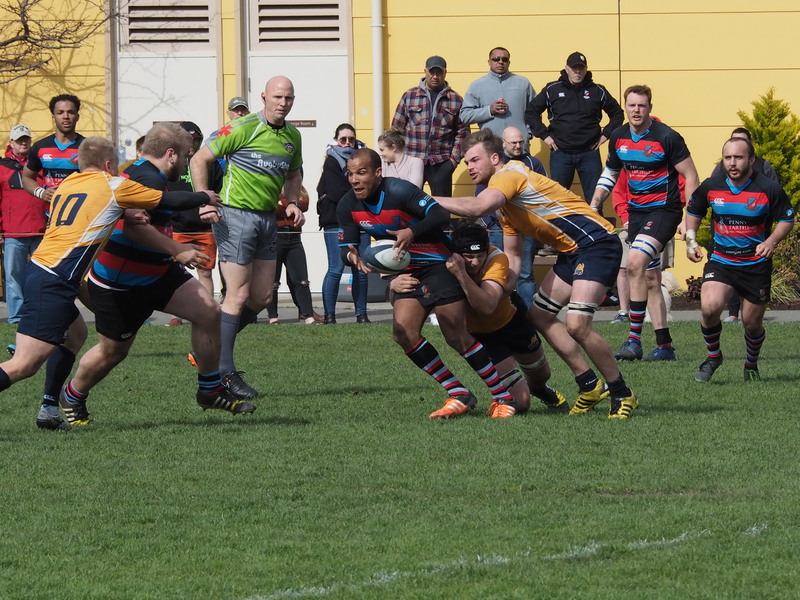 The forward pack worked hard and held their own in the scrums and our backs had several very positive phases and made some try saving open field tackles. The final score was 39 -21 for Comox - who were very hospitable and generous hosts!" Brooke Bazain on the move.